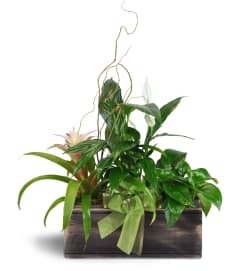 Green plants, decorative plants and indoor trees can all be found at Seasons Change Designs. These plants will accent home or office perfectly, and make a wonderful housewarming or "Congratulations!" gift. All of our live plants are guaranteed to be healthy and are delivered with care instructions to help keep your live plants vibrant. Seasons Change Designs is a Lovingly Florist in Snellville. Buying local matters. Discover how Lovingly supports local florists. Copyrighted images herein are used with permission by Seasons Change Designs.